Perhaps the most well-known action film ever made by directed by Quentin Tarantino is now available via Aquarius puzzles! 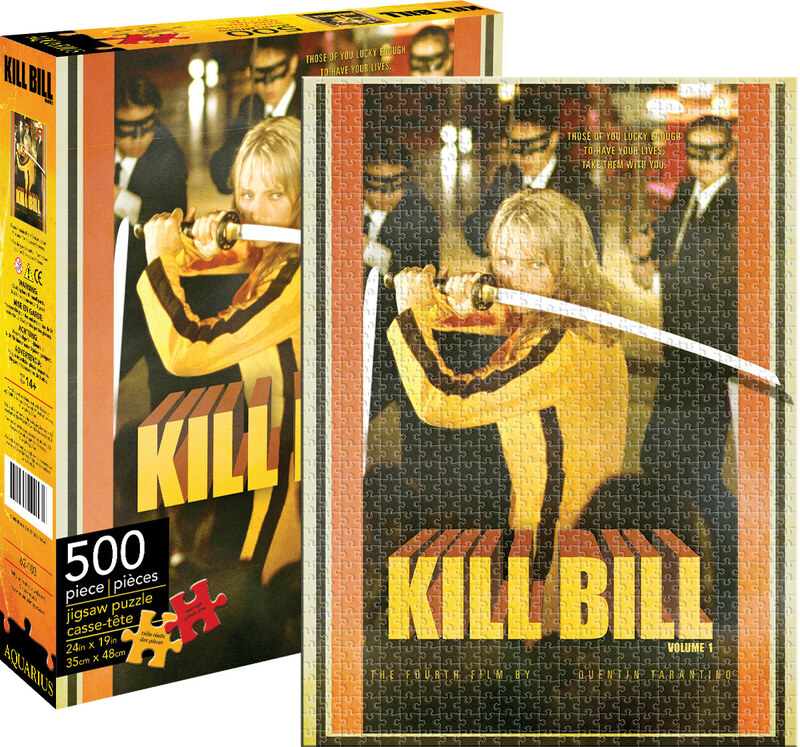 This iconic image shows the fight scene the movie is so well known for and for cinema lovers this 500-piece puzzle is perfect! Uma Thurman stands as The Bride and isn't taking no for an answer in this photo puzzle from the hit movie Kill Bill Vol. 1. Thurman prepares to take on multiple enemies as she stands with a sword in hand wearing the icon yellow jumpsuit in the classic scene from the first film that made the movie a cult classic. Using thick cut pieces and quality materials, this 14" x 19" puzzle is a joy for ages 10 and up to build as piece reveals a memorable character and spell from from movies.